Keep your organ in perfect condition by calling Milnar Organ Company. 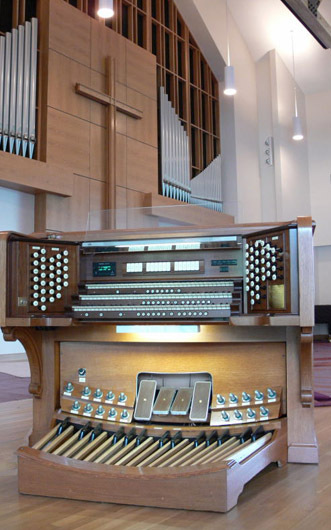 We are experts at building, maintaining, and repairing pipe organs. All of our work is customized, so we can build a console to your exact specifications or upgrade your organ with a new set of pipes. We currently have service contracts in more than 65 cities throughout the Southeast, and we are willing to travel to any location within 400 miles of Nashville — or even farther. We recently dismantled an organ in Kenilworth, Illinois, and shipped it to our shop in Eagleville, Tennessee. Wherever you are located, give us a call. We'll do everything we can to help. A major strength of the Milnar firm lies in our ability to communicate with customers. Every member of our team prides himself on providing unsurpassed service in every situation. We build relationships right along with our products. Once we have received your initial inquiry, we will begin to focus on your requirements and considerations. This process involves listening to your opinions and perspective as well as considering the environment and utilization of the space. One of the key elements for our review is to retain a broad perspective on the project. The end result of this overview will be a specific proposal for your situation. We will provide a fully detailed presentation that will provide all information on the project and style of construction. This will be accompanied by full drawings, details, and renderings. As we work through the production of your project, we will keep you updated on the work with progress at every stage. Perhaps the single most important part of a comprehensive maintenance plan for a pipe organ is insurance coverage. With inadequate coverage, the owner of an organ may suffer huge losses as a result of roof leaks, fire, vandalism, vermin, or other issues. Many insurance companies require a written professional assessment of the value of an organ. As a result of our experience with a wide variety of instruments and situations, we are uniquely equipped to prepare such reports. In many cases, these reports can be prepared without the need for a visit to the site. We are often asked to provide such written assessments in cases when an individual plans to donate an existing organ to a nonprofit institution and professional evaluation is necessary for the substantiation of tax deductions. Professional organ tuning keeps your instrument in top playing condition. Regular visits ensure that your organ is always kept in tune to match the change in seasons and that any problems are caught immediately and repaired. Regular visits also give our technicians the chance to foresee any large problems before they occur. For the best maintenance of your organ, we recommend a semiannual tuning schedule to match the change in seasons. For example, we often visit our clients in May or June, when people usually turn on their air conditioners, and in November or December, when heaters become necessary. We schedule our regular visits to fit your programming needs. If you notify us ahead of time, we will make every effort to accommodate your request, although we can suggest schedule options that will minimize your costs by grouping customers in one area. During the tuning process, we tune the entire organ to its current pitch. Every pipe is adjusted, if necessary. Drastic changes in pitch, such as matching A=440, incur an extra charge. When tuning, the church must be as close to normal temperature as possible — that is, the temperature the church would be at for a religious service at that time of year. The room must also be silent while the tuners are present. Touch-up tunings are preferred in mid-season. After the visit is complete, our technicians will leave a service sheet that lists all work performed. Each contracted church is left with a blue notebook to keep near the organ console. The blue notebook has all of the service sheets from past visits. The service sheet has blank areas to fill in for time, temperature, pitch for each chamber, repair/tuning information, and comments. A pad is provided in your service notebook for you to note any mechanical or tuning problems you might encounter between visits. This aids our technicians in locating and solving problems. We specialize in repairing fire and water damage. With our full-time office staff and 24-hour answering machine, it's easy to reach us at a moment's notice. If a problem occurs that prevents the immediate use of your organ, we can send a crew ASAP. This service is not included in an annual contract. Emergency calls are billed according to time spent plus mileage from Eagleville, Tennessee, and expenses. However, many emergency calls can be solved over the phone with the organist, which saves you the cost of a service call. All of our new pipe organs, no matter how large or small, begin on the drawing table of our design department. The pipe layout, winding, wiring, visual design, and casework are carefully created and documented. This design process begins after a member of the design department has been to the site to take measurements and photographs in order to ensure the new instrument fits and matches its surroundings. A visual representation of every instrument is created so the customer can see exactly what the organ will look like in its final setting. We also design the console on our drawing tables, as well as a layout of the pistons, toe studs, and stop tabs or draw knobs. All of this is provided to the customer before construction of the organ begins in the shop, and we can modify the design as necessary. Though we are part of the ancient tradition of organ building, we are not bound solely by the practices of those who have gone before us. We have an obligation to understand the spirit of our time and to breathe new life into the old forms we have inherited. Though our designs draw inspiration from the rich history of organ building, each Milnar instrument is a unique work of art that is contemporary in the best sense of the word. Modern technologies can make your organ more reliable and reduce maintenance costs. Our service technicians can give you information on solid-state upgrades to your organ's electrical system. We use all of the latest solid-state equipment from the Peterson Co. in Worth, Illinois, to provide switching and MIDI functions for our organs, and we use the same equipment to modernize existing organs. Solid-state components solve the problems that are common to older mechanical and pneumatic components, such as dirty contacts, noisy actions, leaking or blown pneumatics, and slow actions. They also reduce the weight and size of components considerably. The most frequent cause of organ malfunction is a problem with the wind chest. A small amount of water from a leaky roof or water pipe can cause an entire chest to stop working. We can replace the action in your existing chests with an electromechanical action, giving you a more reliable action that doesn't require any re-leathering or seasonal readjustment. Our wind trunks are constructed from wood, rather than the more common zinc or PVC pipe, for strength and silence. Even in winding systems allowing some flexibility of pressure, the wind is never "wiggly" or "shaky." We can easily add one or more ranks of pipes to your organ to add extra sounds or to complete stops that were previously borrowed. Pipes can be added into your existing configuration coupled with solid-state additions or console enhancement. The whole process can give your existing organ an entirely new feel and sound. 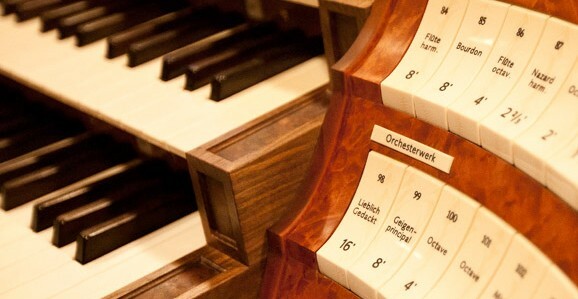 An organ's console is the most important and visible part of the organ. This is where the musician meets the instrument. An aging console can be upgraded with state-of-the-art technologies and designs. Aside from solving minor problems, a console upgrade often serves to make an organ a more enjoyable instrument to play and increases its lifespan. Our refinishing department does a fantastic job bringing the console back to its former glory. Every console is built to AGO standards, custom designed and finished to match its surroundings. Each Milnar console is hand assembled by craftsmen who select wood components to assure perfect "bookend" grain matching, as found in the world's finest furniture. Using time-honored methods, each console is glued and screwed together for maximum strength and integrity. The final step in the woodworking process brings out the wood's full beauty and ensures its protection. Through a combination of hand rubbing and spraying, Milnar consoles are stained and then finished with several coats of lacquer. Customers may choose from a variety of standard finishes or have us match their console to existing woodwork in their church. The console leads any fine instrument and should reflect the quality and character of the performing experience. The proportions and balance should be correct to the eye, while the attention to detail should be impeccable. Regardless of size, the console should be at home in its new location and blend as though designed by the original architect. When the artist is seated, the mechanical aspects of the console should become transparent after a simple orientation. Manual relationships, draw knob positioning, expression controls, and all other details should be intuitive in location and never disturb an artist's center of balance. If an artist is able to focus on the music and forget the mechanics of the console within moments, we know we have succeeded. Our consoles offer you maximum comfort for ease of playing and incorporate the highest quality keyboards, stop controls, and solid-state control systems in order to withstand even the most demanding use for years to come. We also lovingly restore existing consoles. We clean and polish the cabinet or completely strip and refinish it to like-new condition. The mechanical operating system can either be restored or replaced with the latest solid-state operating system. If you want proof of our attention to detail, just visit some of our installations; you'll find that Milnar consoles are the leader in ergonomic perfection. When considering additions and upgrades to an organ, most people don't consider percussion instruments. 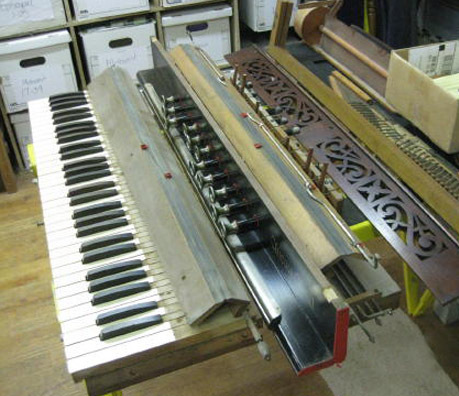 While chimes are the most popular, glockenspiels, harps, Zimbelsterns, and Glockensterns are also possible. Visually beautiful, the exposed percussion of these stops can enhance a room and make the organ more versatile and interesting. They are easily added to an instrument without great expense. Although our inspiration is rooted in the organ building traditions of Europe, we do not construct copies of historical European organs for American churches. The diversity of music in American worship taxes the ability of a single instrument to appropriately render the many styles of literature regularly performed. We therefore apply a "common sense" approach to the tonal design of each organ, allowing them to serve the congregation's musical needs. Our firm's individual tonal style is characterized by warmth of tone, secured in part by generous scaling of the pipes. Each stop is carefully designed to blend with others to produce a cohesive musical ensemble, and smaller ensembles within ensembles. Once the organ is installed, we spend a great deal of time at the site working on the final voicing (or tonal finishing). This weds the sound of the pipes to the acoustics of the building and produces the musical blend you desire. Older pipework can often be given a new life through re-voicing. Age, the stress of tuning, and accumulation of dirt can cause pipes to not sound their best after many years. 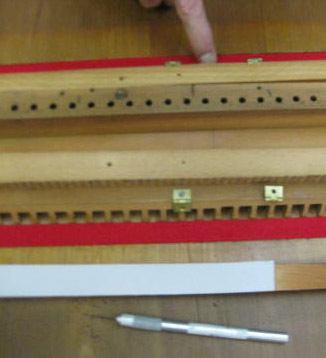 Cleaning and re-voicing each pipe can return the original voice of the pipe and the intended sound of the organ. This work can be done at two levels. The first is a simple tonal refinishing done in place. At the second level, all of the pipes are removed and taken to our shop facility where every pipe is cleaned and re-voiced and the reed tongues are polished. This kind of work is usually accompanied by a full organ cleaning, which includes the cleaning of contacts. Renovations encompass various projects that typically deal with one or more areas of concern with the instrument, either tonal or mechanical. 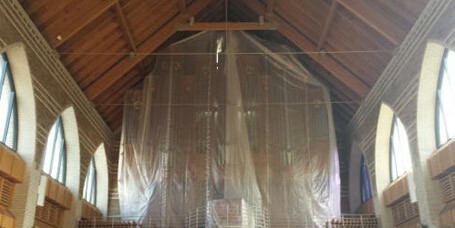 This work is typically completed outside of the scope of restoration or rebuilding. We carefully assess the problem within the context of the entire instrument and work closely with you to formulate the best plan of action. Common mechanical renovation projects include updating or replacing consoles or other components that are not operating properly and the relocation of existing instruments. Tonal renovation projects include pipe additions, re-voicing and regulating, and on-site tonal finishing. Our extensive experience in renovating instruments from both past and current organ builders, combined with excellent problem-solving ability, allows us to meet each new challenge with the best possible solution. Before beginning an organ restoration, we complete a thorough inspection and perform research into the background of the instrument. We also complete an in-depth consultation with our client to help us determine the best course of action for each unique situation. We retain — or, when necessary, re-establish — the historical integrity of the tonal resources by reconditioning the pipework and reversing any modifications to the original voicing. We also restore the components to pristine condition using traditional methods and materials. If any components need to be replaced, we create replicas that are as close as possible to the originals. All restored elements are tested for proper operation prior to reinstallation. Great care is taken during removal, reinstallation, and transportation to protect every part of the instrument. By applying our expertise and care, we ensure that every instrument we restore will continue to bear witness to the stewardship of those who have been and will be responsible for its musical integrity. We welcome the opportunity to inspect your present instrument and provide you with complete details on the condition and viability of renovation. Upon completion of our inspection, we will provide full details of our recommendation for the long-term goals for the renovation. We are open to suggesting phased methods of accomplishing those goals and believe that the desired final outcome should be firmly established prior to beginning the work. This allows all efforts to be focused to the ultimate goal with minimal redundant effort or expenditure. Rebuilding an organ is appropriate when the needs of the congregation will be best served by making significant mechanical and/or tonal changes and improvements. Re-leathering worn components is the basis for most rebuilding projects. We use time-honored methods, materials of the highest quality, and appropriate glues to maintain the integrity of rebuilt components. When necessary, we restore or replace individual components to ensure mechanical reliability. Improvements might include relocation of components to improve accessibility for tuning and maintenance. Often, the entire organ is cleaned during a rebuild. Tonal changes and improvements may be made to compensate for existing tonal inadequacies, and all rebuilds include on-site tonal finishing to achieve seamless and cohesive blending of existing and new pipework. Additions are designed to tastefully function — both tonally and mechanically — within the framework of the original instrument. 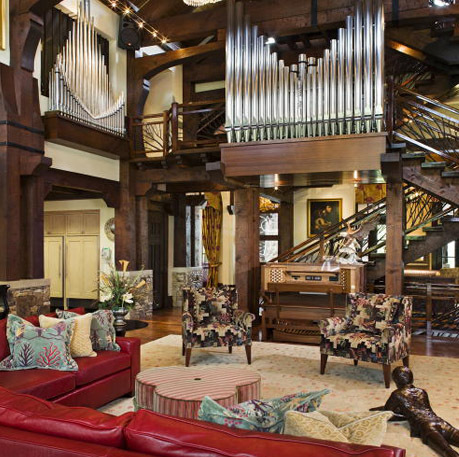 Every pipe organ rebuilt by Milnar Pipe Organ Company receives the high standard of workmanship and attention to detail upon which our reputation is built. In certain situations, our designers feel that space or finances are insufficient to build an all-pipe instrument that will properly fulfill all of the requirements of the room. For situations such as these, we can create a custom combination organ. Combination organs make use of both wind-blown pipes and digitally produced stops to create an entire instrument. With the majority of the organ's sound produced by pipes, we can then add additional stops — the little extras that make an organ more versatile and interesting — to complete the tonal palette. Stops such as celestes, color reeds, or 16' and 32' stops are frequently cut from specifications to save space or money. With digital augmentation, these stops can be included. Problematic or expensive reed ranks can also be duplicated digitally. We have developed a system that keeps digital voices directly in tune with pipe voices to ensure the two are always together. 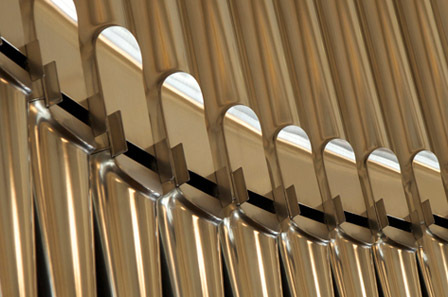 Whenever the organ is turned on, the digital ranks are automatically and constantly in tune with the pipes. We will only install digital voices if we feel the stops are an accurate, useful representation of true pipe sounds. Years of experience in this area have led us to find the best methods for choices of digital stops and voicings, sound system design, and speaker choice and placement. The finished product is only successful if the pipe sounds and the digital sounds are capable of blending into a cohesive ensemble, just as our all-pipe instruments do. Unlike some combination builders, we don't duplicate pipe ranks with redundant digital stops. Every stop is individual, unique, and useful. 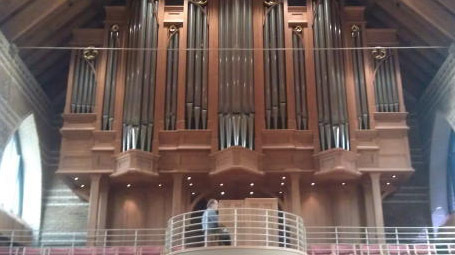 The advent of combination organs has allowed our firm to bring true pipe sounds into churches and homes that might not have been able to afford a complete pipe organ. Existing digital and pipe organs can also be enhanced with our digital voices. These voices can be controlled via a MIDI connection or wired directly to the organ's existing controls. All digital voices can be easily voiced and controlled to provide the exact voice required. The success of our combination organs can only be judged with your ears, so we recommend you contact us for a live demonstration of the capabilities of our instruments. Whether you're looking for an unbiased and expert opinion for your organ project, trying to decide if you should save or replace your existing organ, or would like an opinion on what organ will work best for your situation; we are pleased to offer our expertise. After a thorough inspection and analysis of your wants and needs, we will provide a written report of our findings and/or meet with your committee to discuss our recommendations and answer your questions. During a consultation, we can discuss pipe organ purchase, renovation, and placement, as well as placement of choirs and clergy for the effective presentation of liturgy. We are happy to discuss acoustics and how to plan building renovation projects with sensitivity to the needs of the pipe organ. 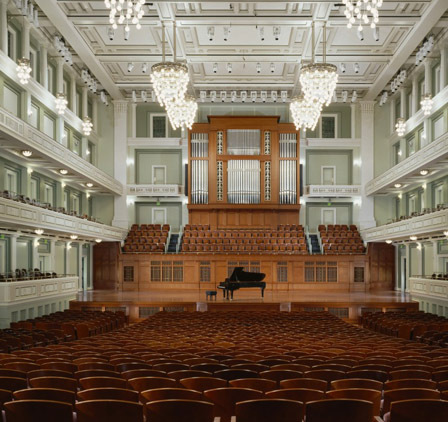 If you are planning new construction, we can work with your architect to ensure that appropriate space, position, and conditions are prepared for a pipe organ. We have an unusual depth of experience with instruments and buildings of all sizes. We use this knowledge to create descriptions on which to base assessments of existing organs or to advise on the purchase of a new or used instrument. Our consultation services can involve a single visit, written reports, or a continuing relationship to oversee the completion of a project. We specialize in building new organs, but existing organs rarely need replacing. Contact us before beginning your next organ project. The time will come when your music and worship committee is face-to-face with the responsibility of acquiring a new musical instrument for your church or institution. With that responsibility comes the choice between acquiring an electronic organ or a fine pipe organ with centuries of tradition behind it. Fundraising is a very important part of the big picture for any pipe organ project. We help clients with fundraising initiatives and provide helpful guidelines that have proved effective in the past. Pump organs are an important part of American history, and we are committed to the preservation of these unique instruments. Pump organs began to be used in homes and churches in the 19th century but are no longer manufactured. Your pump organ is an antique treasure. We have done work for pump organ enthusiasts from all over the country, restoring their pump organs to like-new condition.